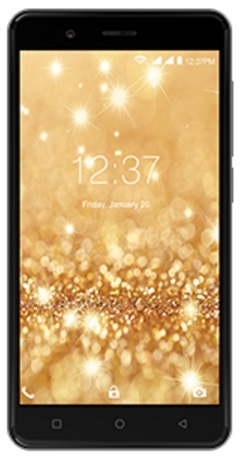 Intex Aqua Crystal is a 5inches 720P High Definition IPS Display Smartphone with 74.6% screen to body ratio, 16.7M colors and 2 fingers touch support @ 296PPI Screen resolution. Its glass finish makes it a real supreme and gives it a great premium looks. 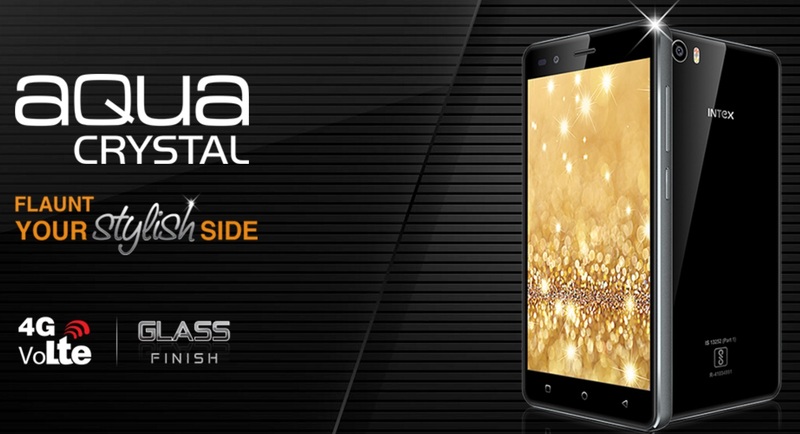 It is also a Dual 4G Sim dual standby Smartphone that has 4G Volte feature. Its both sim slots supports 2G, 3G & 4G network. It is powered by a 1.25Ghz 64Bit Quadcore MT6737 Chipset Processor inbuilt. It packs 1GB of DDR3 RAM that is coupled with 8GB internal storage capacity with additional storage expansion upto 32GB via its MicroSD Card slot. It runs over Android Operating System Marshmallow v.6.0. Aqua Crystalcomes with 8Megapixel 5P lens Autofocus Primary camera with dual LED flash and 5Megapixel 4P lens Fixed-focus Front camera with F/2.0 aperture speed and Panorama, HDR & Face Detection features.